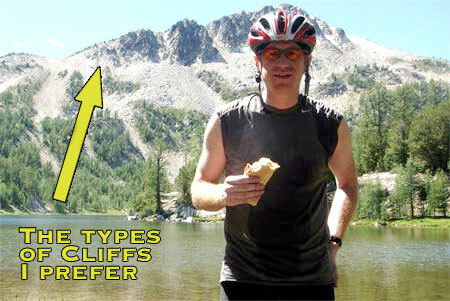 The Hopkinson Report » THR 219: More important life lesson: Fiscal Cliffs or Clif Bars? THR 219: More important life lesson: Fiscal Cliffs or Clif Bars? Where do you strike a balance between fiscal responsibility and lifestyle? That was NOT the piece of advice that I expected to hear from my friend Eric. To know why he said that, you need to know who Eric is. Flash back nearly 25 years, and there was a splinter-thin student standing next to me in our fraternity pledge line. We went through thick and thin as nervous freshmen and somehow survived. By our senior year, I was president of my fraternity and Eric was the treasurer. For those of you that think fraternity life is just partying and drinking, well, that was about 90% of it. But believe it or not there was a business side of things, and while I was trying to keep 25 guys from being expelled, there was real money to be managed here – more than $10,000 in our budget – and Eric was the master of it. So it’s no surprise that Eric went on to become one of the highest ranking VPs at a major insurance company, and has done very well from himself. So as I spent a week in sunny Florida with him as a friend I’ve now known for more than half my life, we talked a lot of finance. And when I told him about my first year as an entrepreneur, the incredible fun I had, the business I had built so far, and the challenges I faced, then asked his advice, he told me I should get a job. NOT what I wanted to hear from our perch in the condo hot tub. However, this is why you spend time with trusted friends and mentors that you don’t interact with on a consistent basis – to get another perspective. These are the questions you need to ask yourself as an entrepreneur – maybe even before you make the leap. The entire week was filled with good-natured back-and-forth challenges between finance and pop culture. I confess that I don’t follow politics with any regularity, nor the financial policies that go along with it. 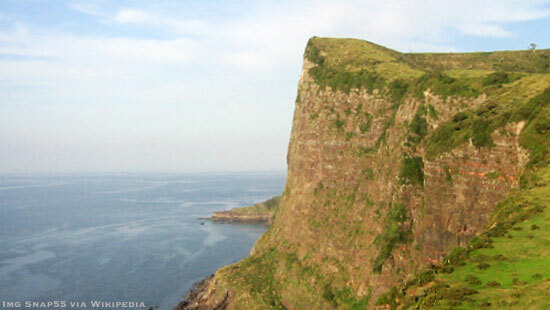 Have I heard of the fiscal cliff? Yes. Could I explain the intricacies of it? Definitely not. Eric went through all the things I felt I needed to know… government policy, deficit implications, votes that were pending, real estate investment strategies, and tax rates. 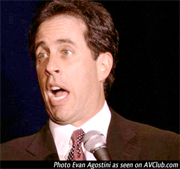 But then I found HIS weak spot – pop culture – and boy was I rolling. The lesson I learned is that everyone has their strengths and weaknesses, and you have to be aware of them as you’re going about your business. 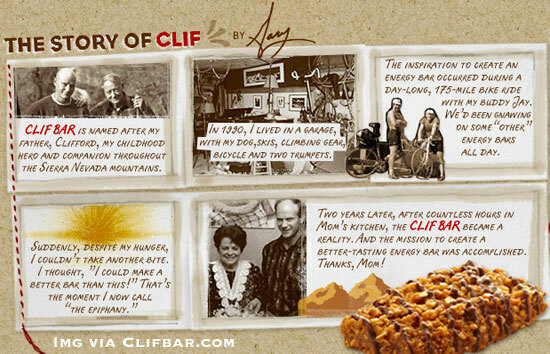 The truth of the matter was, I was much more versed in the entrepreneurial story of the Clif Bar – a favorite of mine when mountain biking – than worrying about the fiscal cliff. So he spent 2 years working in his mom’s kitchen on a better version of an energy bar (the tech geek version of building the next gadget in a garage), and by April 2000, Erickson had a $120 million offer from Quaker Oats to buy the company – which he turned down. They had $235 million in revenue in 2010. Yet on the other hand, having lived 20 years in the corporate world, with a direct deposit salary every 2 weeks, a nice benefits package, and a growing 401(k), I can say at times it’s been very nice. Safe. Secure. Where do you draw the line between real world fiscal responsibilities and a freelance, entrepreneurial lifestyle? Since I have been on both sides, I’m able to straddle the line. I have 401k savings and an emergency fund saved up from my previous life, and am now exploring my inner entrepreneur. However, a lot of people don’t have that luxury, making it a massive decision to make when you’re starting out. If you can’t have it both ways, how do you decide which is more important? Should your goal be to have safety and security, or perhaps a more stressful life filled with risk? You see, I feel there is a lot of day-to-day things people do. Going to work, eating, going out with friends, seeing their family, etc. But just like a football game can hinge on just 1 or 2 key plays, when you look back at your life, there will only be a handful of key critical life experiences that you truly remember. So while I cherish the sage advice of my financial friend, and pledge to increase my awareness of fiscal policy, accumulating life experiences is just as high a priority as gaining financial freedom for now. Make no mistake, I want to crush it this year and become wealthy by giving people great products and services that they want, but I’m not quite ready to return to the corporate world. So for now, I’m stocking up on Clif Bars, getting my finances in order, and eyeing a mountain bike trip in July. How important do you think it is to monitor world financial events? Some would argue that you should be up to the minute, and know your tax code inside and out. Others would say that government is going to make out either way, so just focus on yourself. When it really becomes important is when it’s your business dollars. Don’t let the details slide, track things with Freshbooks. This entry was posted on Saturday, January 5th, 2013 at 10:26 pm and is filed under Workplace Trends. You can follow any responses to this entry through the RSS 2.0 feed. Both comments and pings are currently closed.